The Las Vegas Strip is home to pleasant cafes and bars. 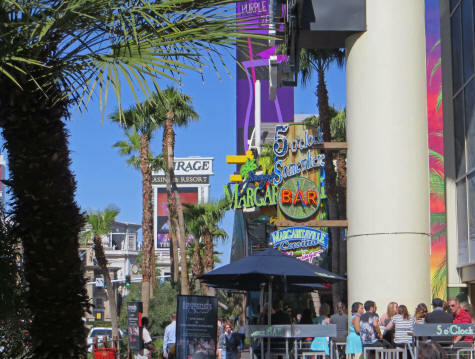 Thanks to the warm dry climate, Las Vegas USA is ideal for sidewalk cafes. Many great spots can also be found hidden away in the shopping and entertainment complexes. All the large hotels have their own lounges, many of which are quite high-end.